Zombie Belvedere To Rise From Grave On Friday | OhGizmo! After the jump, I’ll tell you who gets the car, and post some secret spoiler pictures. I don’t know about you, but I’m itching to find out what the car looks like under the tarp. If you’re interested, the unveiling will be broadcast live on KOTV.com around noon Oklahoma time. 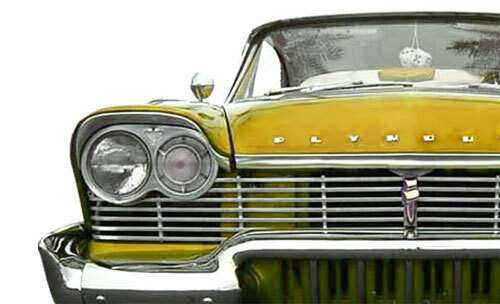 Find a wide variety of Plymouth cars at LemonFree.com. Here are some high resolution pictures of the car and the items that were stored inside it. Looks like a â€œfixer upperâ€?